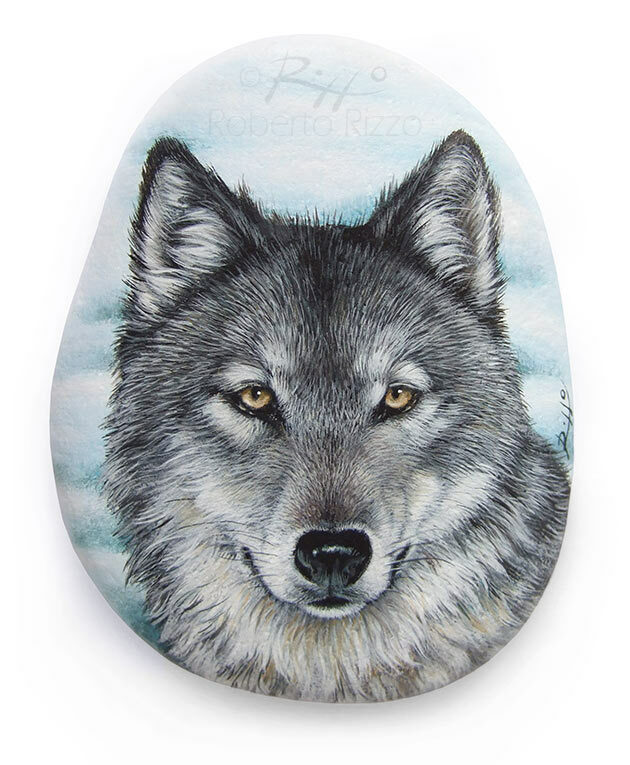 Wild Wolf Painted On a Sea Rock | A Stunning Piece of for Nature Lovers! 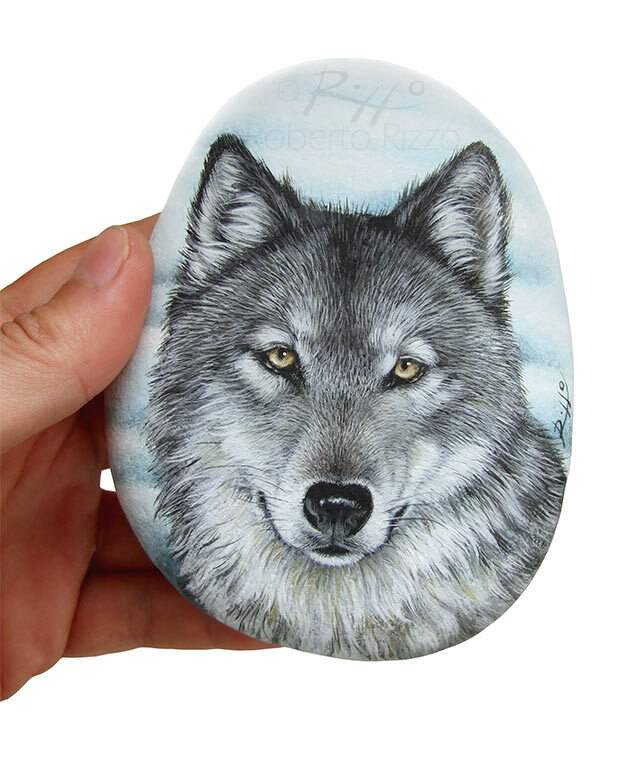 A Wild Wolf Painted On a Flat Sea Rock! 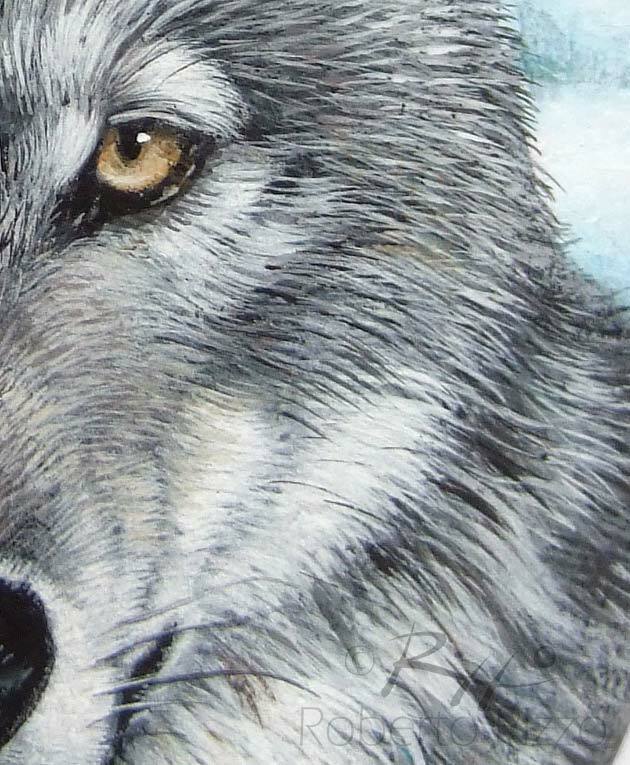 A Stunning Piece of Art and a great Gift Idea for all of you, Wolf Lovers! 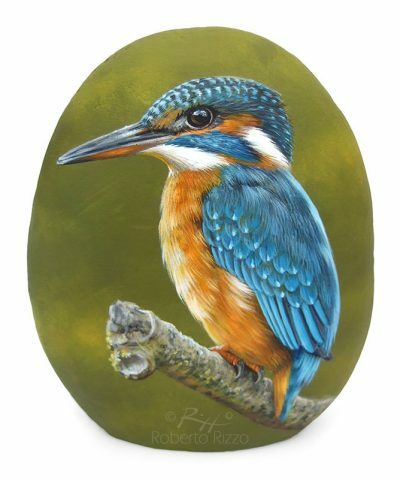 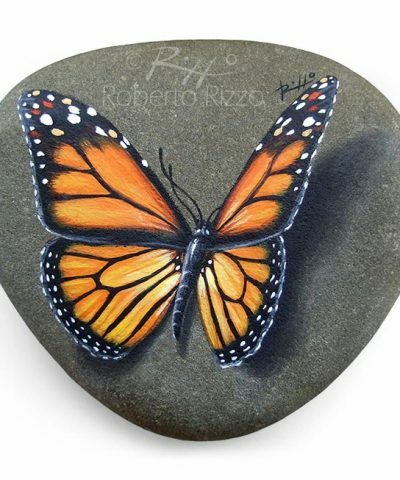 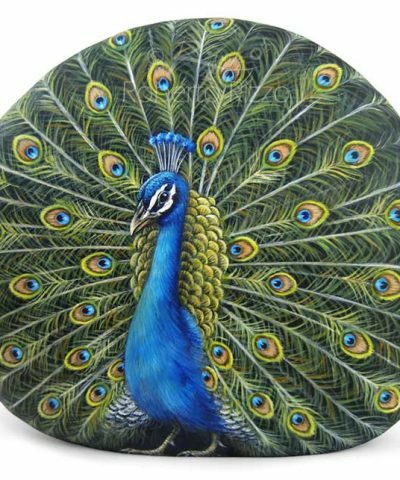 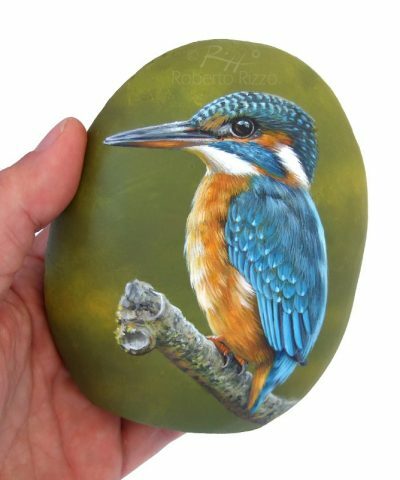 Hand Painted Rocks for Sale by Roberto Rizzo | 100% Original Art! 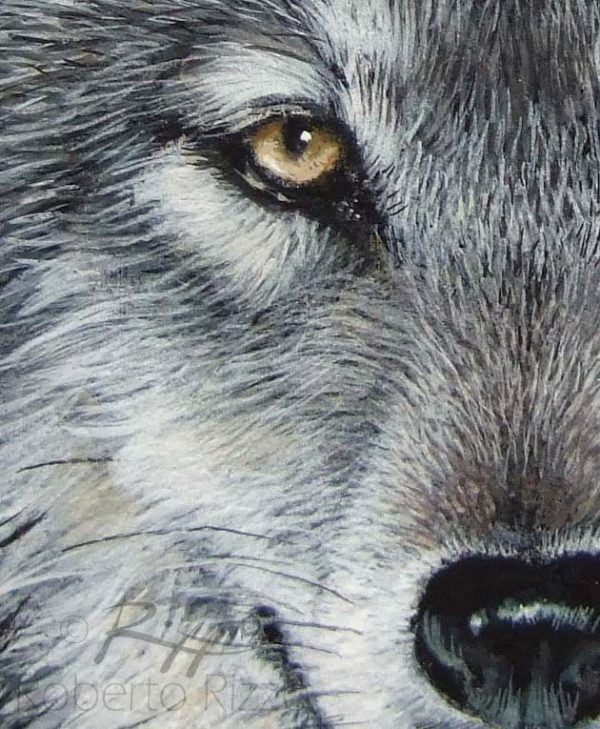 This wolf close up is a realistic artwork painted on a flat stone found on the beach. 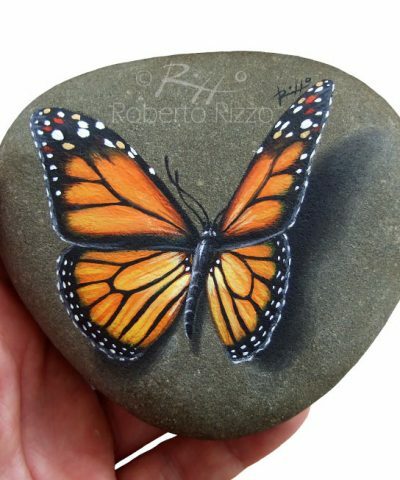 My hand painted rocks are unique pieces of art. 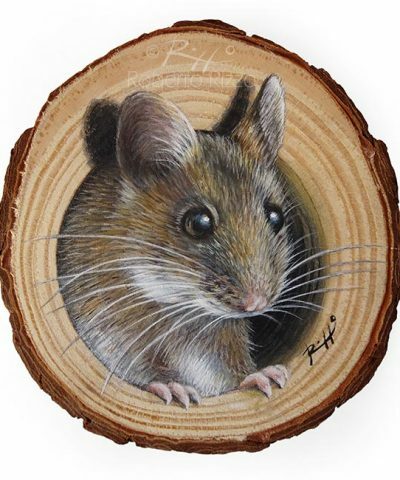 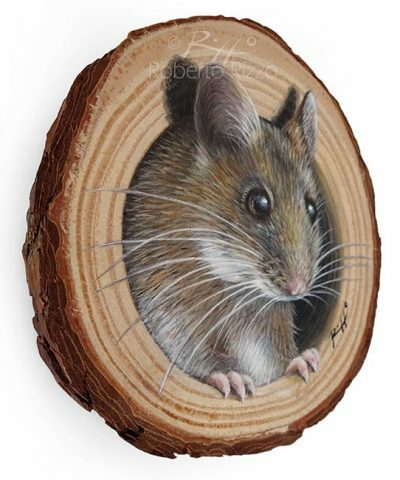 I paint all of them on all sides on smooth sea rocks with high quality acrylics and tiny brushes. 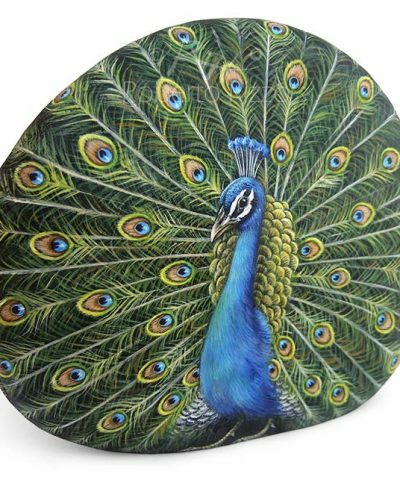 They may be used as a paper-weight to cheer up your desk, lucky charms, decoration for furniture and gardens or whatever you desire.